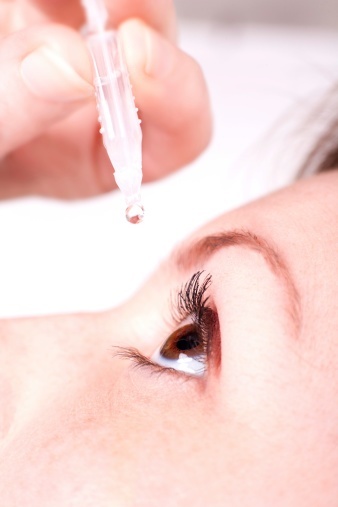 Eye drops are a very common way to administer medication – either preventive or for direct treatment purposes. You may have found yourself wondering about the potential ups and downs of being given eye drops. On the one hand, they seem to be a very convenient and functional way of taking medication. But, there have also been some complaints which are worth listening to. So, to help clear up the matter, here are some pros and cons of using eye drops. Eye drops can be used to help to replace the natural moisture in your eye and these are often a life-saver for anyone with dry eyes. This condition can often cause a burning or gritty sensation in the eye, along with blurred vision. This can be especially bad during allergy season. Medication in eye drops can go a long way toward helping the eye to heal after an injury on the surface of the eye. The fluid may also help to flush the eye out and prevent irritants from making the injury worse or causing an infection. Eye drops are compact and easy to administer, making them much simpler to deal with overall than injections or pills. Eye drops are typically contained in a bottle which must be handled carefully to avoid contamination. While this isn't often an issue, if the medication is contaminated at any point and goes unnoticed, the long terms effect could be severe. There is a possibility that eye drops will not work for certain patients. This could leave you applying them repeatedly over the course of an average day for only minimal results. If this is the case, you're bound to find them both irritating and expensive. In some cases, the use of eye drops can actually mask minor symptoms that really should be tackled from the source. Treating the effect does nothing for the cause. Continuing to use eye drops for dry eyes caused by taking another medication doesn't make much sense - for your health or your wallet. While it is somewhat rare, eye drops for dryness or other issues can trigger allergic reactions in some patients due to their chemical ingredients. This can cause severe irritation and some drops can actually make the dryness worse as the initial effect wears off. Of course, no case is typical and you should always talk things over with your doctor before starting or stopping any treatment. If anything, we hope these points have given you some food for thought.